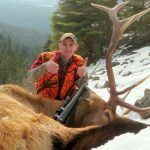 Through the last decade I’ve purchased many gloves that I thought would fill the parameters of what I was looking for: gripping ability, durable, warm, the ability to shoot with them on, and above all, a glove that kept my hands dry. For the most part, all I accomplished was reducing my wallet volume and wondering why someone had not yet made an actual waterproof glove for hunters. 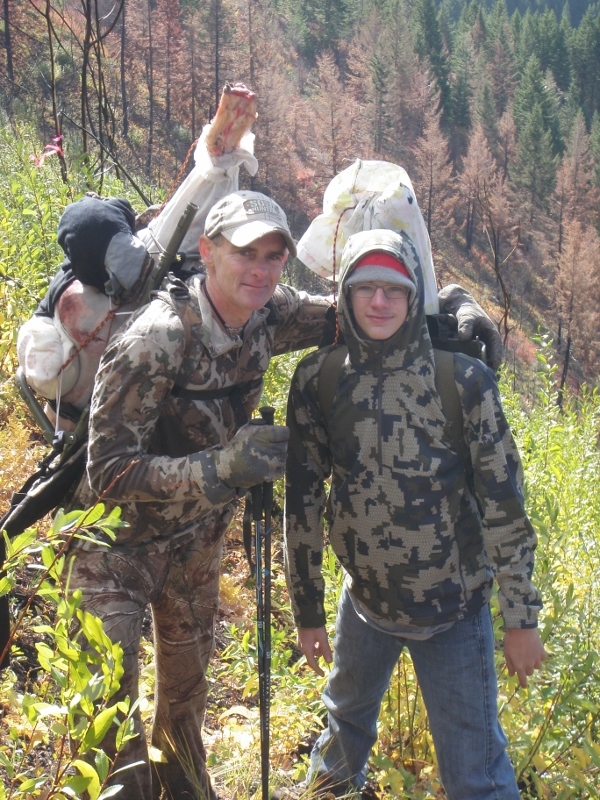 Hunting in the Northwest, the norm is substantial rainfall, with cool to cold temperatures come Mid-October into November. It is important to both keep my hands dry and warm all day. 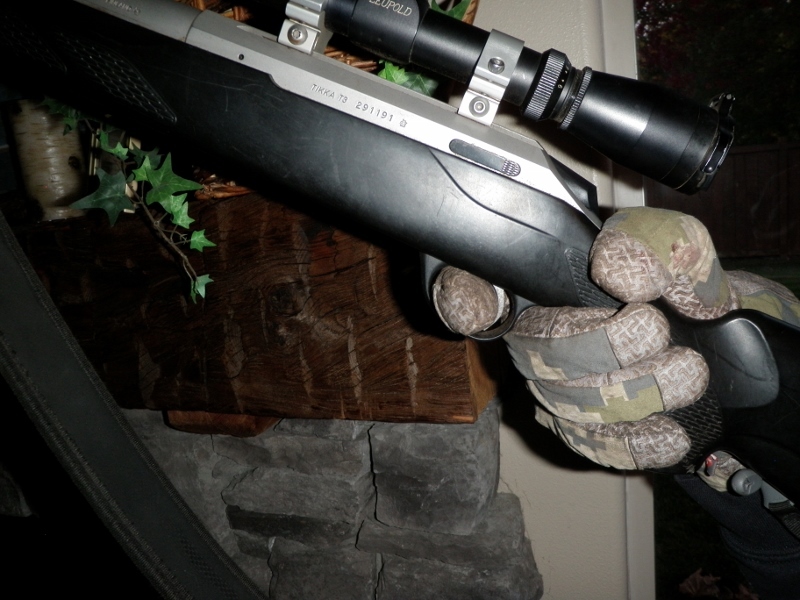 Wet hands are cold hands and affect your ability to hunt and shoot drastically. 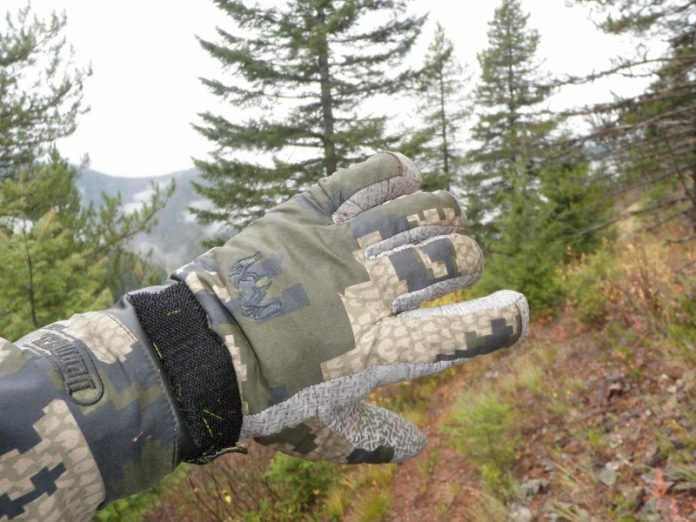 When I saw that KUIU was offering a Waterproof glove in 2014, it definitely got my attention. I promptly ordered a pair of the Northstar gloves. Being of the curious sort, the first thing I did when they arrived was run them under a faucet. Then I placed them in a sink full of water. To my amazement the water ran off and they continued to keep my hands dry after an extended soaking in the sink. This simple test eased my mind that they may in fact keep my hands dry and warm when season rolled around. 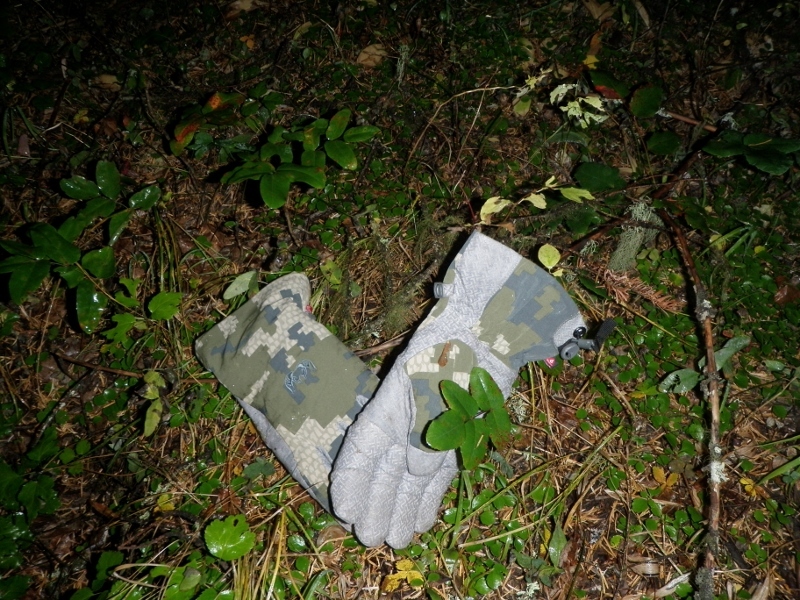 When October arrived, along with the typical Northwest weather, I was pleasantly surprised with the design of the glove. The glove is designed around a laminate that is placed inside the glove, which is then bonded to the outer fabric, creating a glove that is in fact, waterproof. Over two seasons and 30 plus days afield in various wet and inclement weather conditions, the glove has yet to let water in, nor have any of the seams started to fail. One thing I did learn is that you need to keep the gloves under your sleeve cuffs so that moisture is not allowed to drain down into the mouth of the glove. I found it was best to put the gloves on and then the jacket over the gloves to seal them from the elements. Along with the waterproof feature of the glove, it offers great traction in all conditions. I also noticed after several uses, the gloves conformed to my hands, creating a custom fit to the individual hand. The Pittards leather on the palm and wrap around fingers provide excellent grip and traction when grabbing your various gear in all conditions. 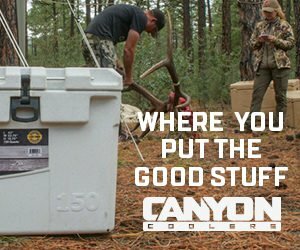 Since I hunt in an area with a lot of moisture, it is a fine line between sweating, staying dry and comfortable, and not having to bring too many backups when you get wet (either because you’re overheated or could not keep dry.) The NorthStar glove offers a design with its Toray Kudos DWR (Durable Water Repellent) that combats sweat from developing in the glove. I won’t pretend to know what all the specific information is about this design, other than to say I sweat much easier than most and I am able to keep my hands dry in this glove in all conditions tested (rain, sleet, snow and temps as low as 10 degrees). 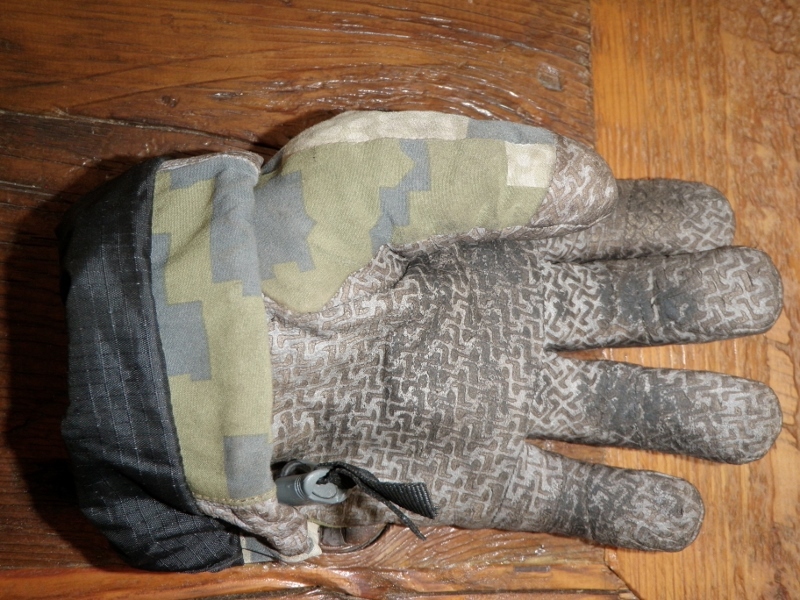 The glove also provides good warmth to weight ratio (7.1 ounces per pair) with it’s primaloft insulation layer along with wool blend lining and offers the ability to trigger a shot, without to much bulk to interference in the trigger assembly. That being said, my hands get cold very easily and I did find that when sitting for an extended period of time and the temperatures dropped into the 20’s, further warmth was needed for my fingers. KUIU offers a diverse line of clothing for hunters and non-hunters who are weight conscious and looking to maximize the trade-off of bulk with efficiency and performance. The Northstar glove is as advertised. This is a glove that is waterproof and provides excellent gripping in all conditions. With two seasons use, I can say they are very durable, hand-conforming, and will provide adequate warmth for most. Would I buy another set? Most definitely! I don’t like wet/clammy hands and these gloves prevent this from occurring.